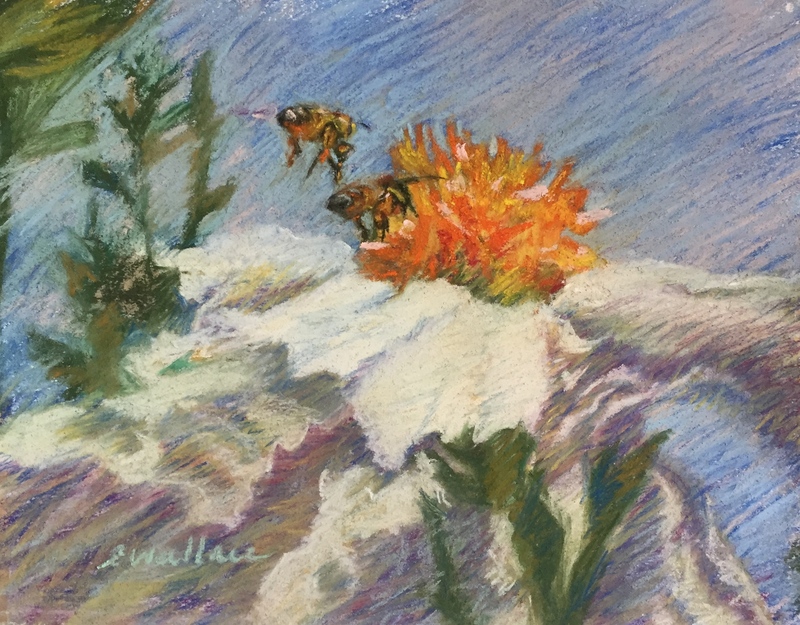 I look to the natural world for my inspiration as an artist and paint images of wildlife and native flora encountered while hiking, swimming and gardening. I use oils outdoors and work with pastels in my studio. When creating, I explore various possibilities while thinking, “What if I try this? Now this, then this.” Each brushstroke combines to create a material thing that eventually looks back at me. The resulting image almost always teaches me something about myself, my life and interactions with others. 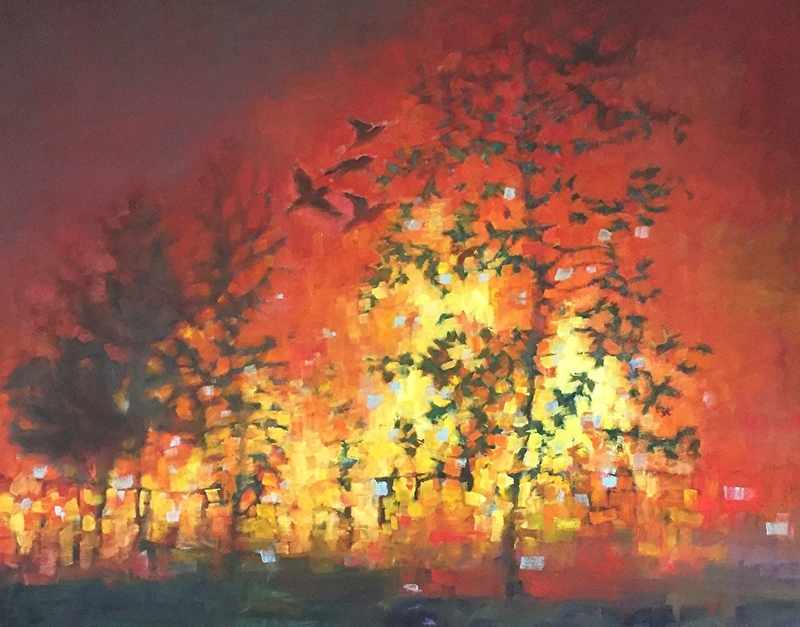 My paintings examine four life elements: Earth, Water, Air and Fire. 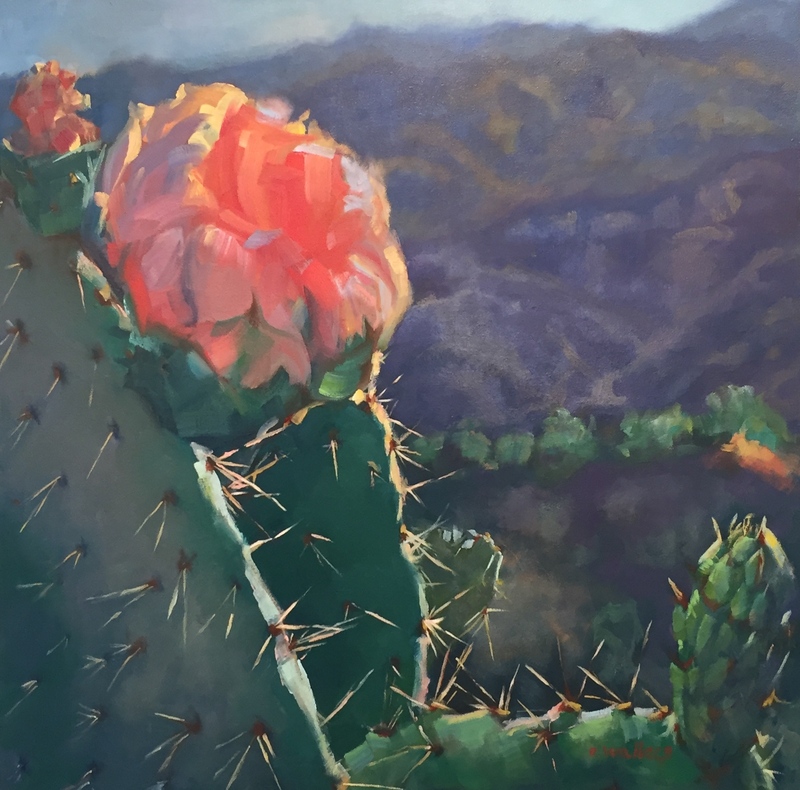 The Earth paintings are botanical portraits of the beauty of the prickly pear cactus and its resilient ability to survive changing climatic conditions. 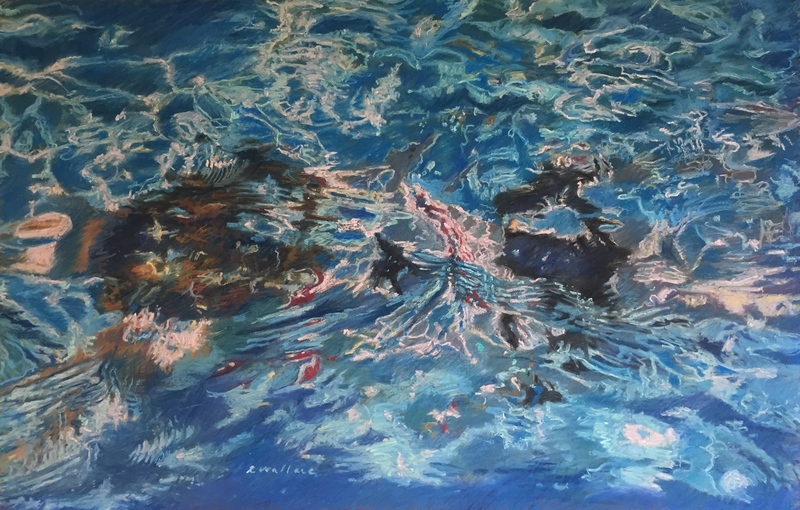 The Water paintings explore our interaction with water: how it heals, challenges and transforms us. The Air paintings feature creatures that fly and also examine cloudscapes and windmills. The Fire paintings include figurative images because this element is contained in all of us. It warms us and inspires us to use our gifts. Elizabeth Wallace originally earned a BA degree from the University of Iowa. She later studied fine art drawing and painting at the Laguna College of Art and Design. While there, she earned scholarships and was awarded Best of Fine Arts for her award-winning, large scale pastel tricycle series. In 2007, the President of Virginia Tech commissioned her to draw a set of 32 portraits of faculty and students for the college’s permanent collection. Senior CBS reporter Joe Dashiell came to her studio in 2014 to interview her about the collection and film her as she worked. Wallace has shown her work nationally in numerous solo and group exhibitions. She will have a solo show titled “Original Skin: Botanical Resilience in a Changing Climate” featuring botanical portraits of the prickly pear cactus (Opuntia) at the Greater Des Moines Botanical Garden in the summer of 2017. Her work can be seen at Mission Fine Art Gallery in San Juan Capistrano, California. It has also been included in the Laguna News Post, the 2006 Emerging Artists Calendar, the 2005 issue of The Pastel Journal and the 2008 Union of Concerned Scientists Calendar national competition. She is a member of the Southern California Women’s Caucus for Art and the California Native Plant Society.